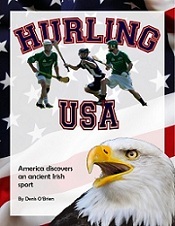 The biggest hurling league in America opened its competitive season a few weekends ago in the state of Wisconsin with the start of the 2014 Milwaukee Hurling League. In the first of two podcasts this week from the Dairy State, Milwaukee Hurling Club PRO, Andy McKee, takes us through the opening rounds. 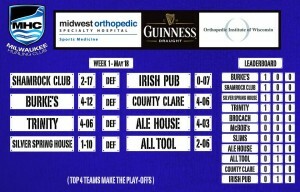 It's crunch time for teams heading into today's penultimate Round 9 of the St. Louis Hurling League with places still up for grabs for the Playoffs. 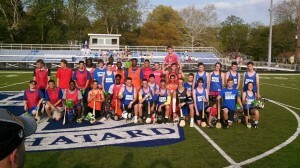 In the Podcast, St. Louis GAA's Mike Hill looks back on the action from Round 8. The folk in St. Louis GAA had a well earned rest last weekend in observance of Memorial Day, so in the Podcast we look back to the prior week and Round 7 of the hurling league with Mike Hill and John Wilson. At the halfway mark in the Indy Summer Hurling League and we have new leaders in Connor's who put a stop to 2Gingers unbeaten run last Sunday in Indianapolis. In the Podcast, Indy GAA Secretary, Brian Mathes, tells us how they did it and reports the rest of the action from Week 6. 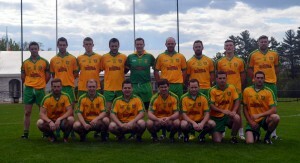 The Boston Donegal Team who defeated Connemara Gaels in an Overtime thriller last Sunday at Canton, MA. (Photo by Rory O'Donnell). 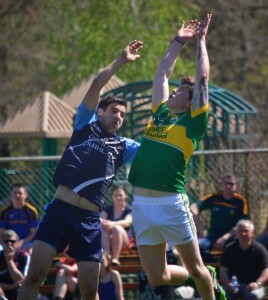 Two semis finals of the Pat O'Brien Cup in men's football took the spotlight at Canton, MA on Sunday - Boston GAA PRO Rory O'Donnell gives us the lowdown on how things panned out. The Ancient Order of Hibernians team claimed sole position on the top of the St. Louis Hurling League Leaderboard with an impressive win in Week 7 last weekend at Saint Vincent Park. In the Podcast, Mike Hill and John Wilson, breakdown the four games on the schedule.